Renegade Lens Pictures (Renegade Lens Artists Group) was founded by award-winning commercial director and filmmaker David Christopher Loya (click here to view David's IMDb credits). Original and commissioned content created by Renegade Lens has garnered international recognition, including over 20 Gold, Silver and Bronze Telly Awards and Finalist honors at both The New York Film Festival and the Banff World Media Festival. Content produced by the Renegade Len Artists Group has aired on CBS, NBC, ABC, A&E, Bravo, BET, The History Channel, PBS and The Hallmark Channel. A partial list of past clients includes Sony Pictures, The Walt Disney Company, Liberty Media, Harvard University, The Mayo Clinic, The Smithsonian Institute, Genesis Entertainment, The Rock and Roll Hall of Fame, Microsoft, The Cleveland Clinic, Amnesty International, Sprint International, The Russ Reid Agency and The Salvation Army, and the University of California, Los Angeles. 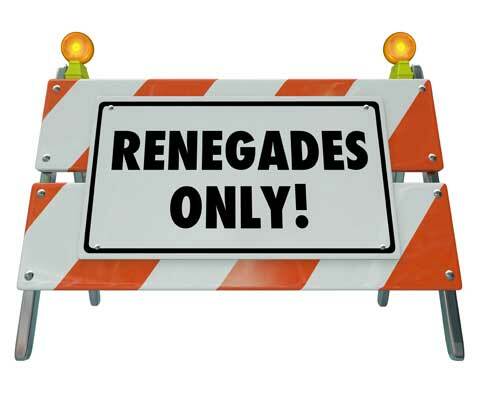 Renegade Lens focuses on producing commercially successful, film and television productions that elevate humanity, affirm the life of others, challenge paradigms, and connect deeply with the audience.